Writers know they have to learn grammar. At least some grammar. Back in the day, the only hope of publication for writers was to get their novel picked up by a traditional publisher. And back then, little to no emphasis was ever put on the need for a writer to learn grammar, self-edit, polish his manuscript, or hire a professional copyeditor. There were in-house editing teams waiting to do the unpleasant task of cleaning up the undoubtedly messy manuscript. But in this new era of self-publishing, which also sees severe competition for the few slots in a big publishing house’s catalogue, writers are expected to present perfectly edited manuscripts. Those who submit error-ridden novels to agents or publishers are often rejected without hesitation. Those who self-publish books full of mistakes get dinged by negative reviews. But why should a writer take all that time to learn yucky grammar? Who really needs to know what a predicate or participle is? Can’t writers just learn to write well by reading well-written books? Maybe you are thinking it’s worth the money to give someone else that unpleasant task of cleaning up your mess. Although one can certainly defer all that tedious grammar correction to a professional editor for hire, the more a writer learns to write well, the better off she will be – financially and creatively. Not knowing how to correctly structure sentences is a liability. My eighth-grade English teacher repeatedly pounded his students on the head with this aphorism: “Say what you mean. Don’t say what you don’t mean.” When writers lack knowledge of correct grammar, punctuation, spelling, and word usage, they often end up saying what they don’t mean. Which is counterproductive and often wastes time. Are There “Rules” for Fiction Writing? In my work as a full-time copyeditor and writing coach, I critique and edit more than two hundred partial or complete manuscripts a year, from clients in six continents. That’s a lot of diverse writing I examine, in just about every genre. But although these works are very different from each other, I see time and again many of the same grammar and sentence structure mistakes. The same words appear again and again misspelled or misused. Not all questions about grammar are simple, and often there are grey areas and situations that are matters of style. This becomes an even greater component when dealing with fiction, which introduces elements of characterization, regional speech, and creative writing style. Aside from the obvious reason for becoming a proficient handler of language (you’re a writer, after all, and language is the tool of your craft), learning grammar will make your job easier and your writing much better in the long run. And those are goals, it seems, most writers would embrace and strive for. 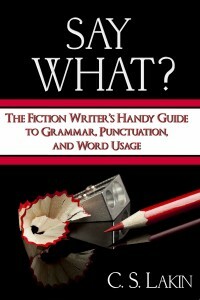 Susanne’s guide to grammar for fiction writers, Say What?, is now available to order. More details are available on her LiveWriteThrive website. What’s your attitude to grammar? Please feel free to leave a comment and join in the conversation! C. S. Lakin is a multipublished novelist and writing coach. She works full-time as a copyeditor and critiques about two hundred manuscripts a year. 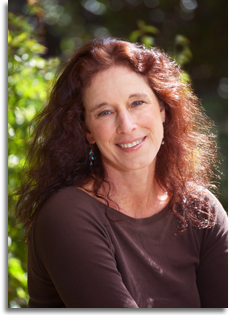 She teaches writing workshops and gives instruction on her award-winning blog Live Write Thrive.Her new book - "Say What? The Fiction Writer’s Handy Guide to Grammar, Punctuation, and Word Usage" - is designed to help writers get a painless grasp on grammar. You can buy it in print or as an ebook - more information can be found here. income, although the method is fun aand easy. I think writers should definitely continue to develop better grammar skills. I’m not perfect, but it drives me crazy to see spelling, grammar, or punctuation errors in any written piece. That’s why it’s so important to read over what you’ve written before calling it complete. This goes for emails, etc as well. Of course autocorrect is the bane of any writer. Thanks for the post. However, am very dyslexic-ish and prone to typos in e-mails, would need to use a copy-editor! So shall have to make sure I do not send one of my horrible ones to you!! Hi C.S: Thank you for the excellent discussion. I keep several reference books on Writing Well at my hand to research my questions regarding grammatical structure. I re-write and polish so many times that I lose track of the number of drafts and tweaks and polishes. I am never 100% satisfied. However, I do reach a point where I can’t improve the scripts. That’s when I seek copy reviews from the pros. I provide each of my characters with a special trait that labels their voices as different from one another. This at times requires language that is colloquial; not usually correct grammar when I am translating into English, and maintaining the character’s accent. I will check out your book on Amazon. I have to say I am delighted to see the book’s title contains an Oxford Comma.